The Swagbucks Referral Program is slightly different in that you are not paid a one-off bonus. Instead, you are paid an on-going bonus based upon the number of Swag Bucks that the new member earns. The current bonus rate is set at 10% of the new member’s points (Swag Bucks). So if, for example, the person that you referred to the site earned 700 Swag Bucks in a week, you would receive a 70 Swag Bucks referral bonus for that week also. Since the Swagbucks referral bonus is paid on an indefinite basis, you will keep earning your 10% for as long as the new member continues to earn Swag Bucks. Note: Your 10% bonus is NOT deducted from the new member’s Swag Bucks. 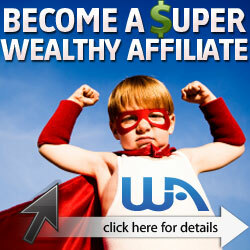 It is a wholly separate and additional bonus paid by the owners of Swagbucks. Swagbucks used to only award referral bonuses on points earned by the new member from doing internet searches. As an added incentive for new members to use existing members’ referral links when they sign up, Swagbucks is also offering a 50 SB bonus to the new member. In order to get the 50 SB bonus, the new member needs to use the code “FreeGiftCards” during the sign-up process. In order to get Swagbucks Referrals you first need to find out what your Swagbucks Referral Code is. This Code can be found on the “My Referrals” page, which is located on the drop-down menu that appears when you hover your mouse pointer over your username in the right hand corner of the home page. Once on the “My Referrals” page, just click on the large “Refer a Friend” box in the middle of the screen and your Swagbucks Referral Code will be revealed to you. Once you have the Code, you simply copy and paste it into an email, a Tweet, or a Facebook post and send it to anyone that you think might be interested in creating an account. Anyone who clicks on your referral code link and goes on to create an account will be registered as one of your referrals. Anyone that clicks on my link and creates an account will be registered as one of my referrals and I will be a very happy man! At the end of the day. its free money and who doesn’t love free money? I can’t think of any – its just Free Money!! Whilst this offer lasts, the Swagbucks Referral Program has become significantly more generous than other similar rewards sites and I highly recommend that you take full advantage of it. If you can gather enough referrals it can be an excellent way to earn money for very little effort. Thank you for the informative post. I was wondering about how the referral program works I think I will definitely check it out now! I am pleased you found the post informative. The referral program used to be rather pathetic when you only received 10% of the search points. Under this new system I have calculated that, based on a fairly average new user earning 700 Swag Bucks per week, you would earn about $25 per year from each person that you refer. The best part is that this is a recurring referral bonus that you could continue to earn every year that the new member is active at Swagbucks. I don’t know whether or not Swagbucks will extend the offer after their 6th Birthday. I certainly hope so. I have never heard of Swagbucks until today. I do know that these types of systems are becoming very popular. Free money and prizes have raised plenty of folk’s quality of life. Now I’m interested! I am pleased that you found the post interesting. Whilst you can’t expect to earn enough to give up the day job, you can quite easily expect to earn about $10 every week if you spend 1 hour per day at Swagbucks (and that’s not including any referral bonuses). If you do decide to set up an account with Swagbucks, you might like to read my previous post entitled “How to Earn Money at Swagbucks – My System”. It will help you to get started and show you where to find the easy Swag Bucks and steer you away from the slightly less rewarding parts of the site. Thanks for the helpful and informative post! Very cool!! I had heard about SwagBucks before but have never really looked into them. After reading your review and about how they just amped up the bonuses I’ll have to check it out. I do have a question though: No cons? You see nothing wrong with the program at all? I mean, that’s awesome! However it kinda makes me worry it could be “too good to be true”, ya know? Thanks again for the helpful review! Thanks for your comment Dev_D and I am pleased that you found the post informative. I was initially skeptical, but once you appreciate how and why Swagbucks is able to pay people to do this stuff, it make much more sense. Its all about adverts/marketing/tempting you with free trials – companies are prepared to pay you to watch their adverts and to take part in their marketing surveys. Since the number of media outlets has exploded (when I was a kid we only had 1 commercial TV station! ), companies have had to find more creative ways to reach their future customers – Reward sites are one of these creative ways. I know that it is legitimate since I keep getting paid out. The only potential “cons” are highlighted in this post http://freeswagsites.com/how-to-earn-money-at-swagbucks-my-system (paragraph 10). I caution against some of the free trial sign ups since they can be tricky to cancel before you get charged. There is also a youTube video on my “Swagbucks” page which reveals which of the offers pages are safe and which are more tricky. For the cautious Swagbucker, the safest option is to just do the easy tasks like daily poll, NOSO, searches, play games, surveys, Swag Codes, SBTV, videos – none of these things can catch you out and you can still earn at least 100 SB per day. It is a great site for those wishing to earn a little extra money for doing very little – just don’t expect to give up the day job! It might be worth sending out a few referral invites before the improved offer expires at the end of February 2014. I received my Daily / Monthly Bonuses of about 500 SB today – very nice to see it go into my account.